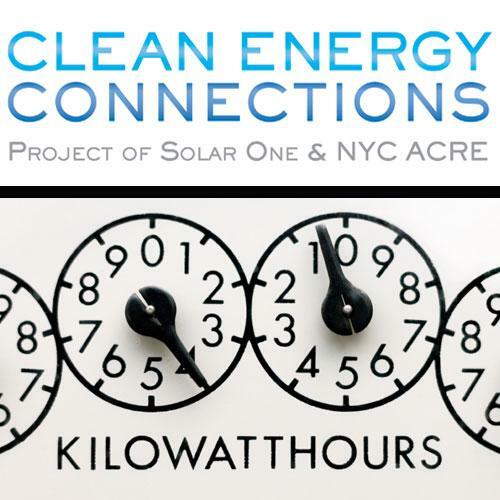 Solar One and NYC ACRE at NYU-Poly present Clean Energy Connections, a year-long live discussion series and online forum for New York City’s blossoming cleantech sector. With this program, clean energy professionals have a platform for wide-ranging discussion, shared best practices, and new inspiration. This series brings together professionals, policymakers, investors, entrepreneurs, and students to explore topics such as investment opportunities in wind and solar; energy efficiency in the information age; how biomimicry can advance cleantech; and many more. To join the conversation, visit cleanecnyc.org, and follow us on Twitter, Facebook, and LinkedIn.